IT teams receive a wide variety of service requests from their clients, including requests for access to apps, software improvements, computer upgrades and new smartphones. These kinds of requests are known, according to ITIL, as “Service Requests”, and “Request Fulfilment” is the corresponding management process. A lot of service requests are recurring, and in order to obtain maximum efficiency, it is necessary to establish processes and procedures to be followed. Request fulfilment – what is it? Request fulfilment is the process followed by the Service Desk team and consists of fulfilling a request from a client. Its mission is to answer the request with the best quality support. In an organisation where a high number of service requests need to be managed, it is recommended that the management is done via a totally independent workflow for logging and handling requests. What are the four main processes of IT? Service request management – a formal request from a user for something that needs to be provided. To IT teams in organisations, service requests frequently exceed available capacity in terms of time and resources. IT service teams in big companies constantly answer business requests and, much of the time, they must prioritise: responding first to clients who need the most attention. However, clients complain that it is hard to work with IT because they do not respond, and that it takes too long to complete requests that they need for work. A service request management system makes this process really simple, since it gives people a “self-service” ability, provides them with answers based on suggestions from a knowledge base and streamlines the whole request fulfilment process, therefore delivering an excellent service. In the light of all these issues, there are a few things that IT service teams should prioritise. 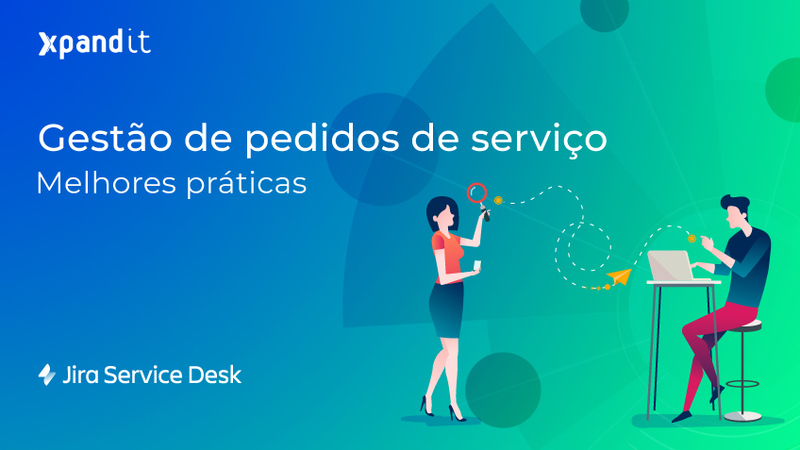 Client comes first – service desk teams can often be driven by supply instead of demand. Are you creating a service request catalogue with self-service features because you think it is good, or are you working directly with your clients, meeting their biggest needs? A lot of organisations have created a catalogue portal of service requests that has resulted in a very low usability. Learn from others’ mistakes, and create something based on demand, not on supply. 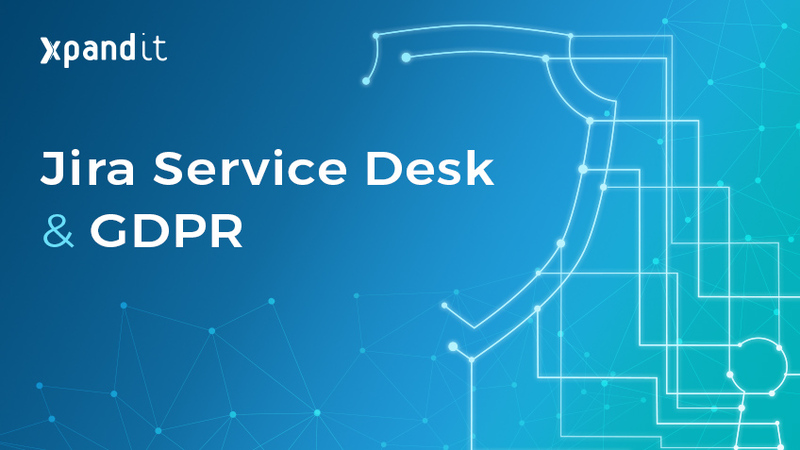 Focus on “popular” requests – service desk teams can start from a broad and superficial standpoint or from a narrow and deep one. Understand what will serve your organisation and your clients best. It is common practice to start with a sub-group of “popular” services and expand from there, based on usage and feedback. Try not to overload your team in the early stages, and remember that a failed launch will make it more difficult to have clients coming back for a second try. Integrate knowledge – clients seek answers. Therefore, give them easy access to the knowledge base and redirect tickets to searchable items. Providing a self-service experience that your associates love is the first step to make the whole process easier and to make them ask again. Centralise the self-service portal – clients are always looking for a single place where they can get help, so even if you develop the most powerful self-service system, it will be useless if it’s not easily found by users. Always try to centralise and increase value when they use the services you offer. Streamline automation – providing highly functional and knowledge-centric service request management is an excellent first step, but you need to find ways to make your IT team deliver even more value to your clients through a self-service experience. Here, the power to be effective is found in automation. When you incorporate automation into your service desk functionality, you reduce the overall workload of your IT team by taking care of the most common and repetitive tasks. Even though there are some variations in the way a service request is fulfilled, it is important to focus on how to leverage standardisation and improve the general quality and efficiency of the service. 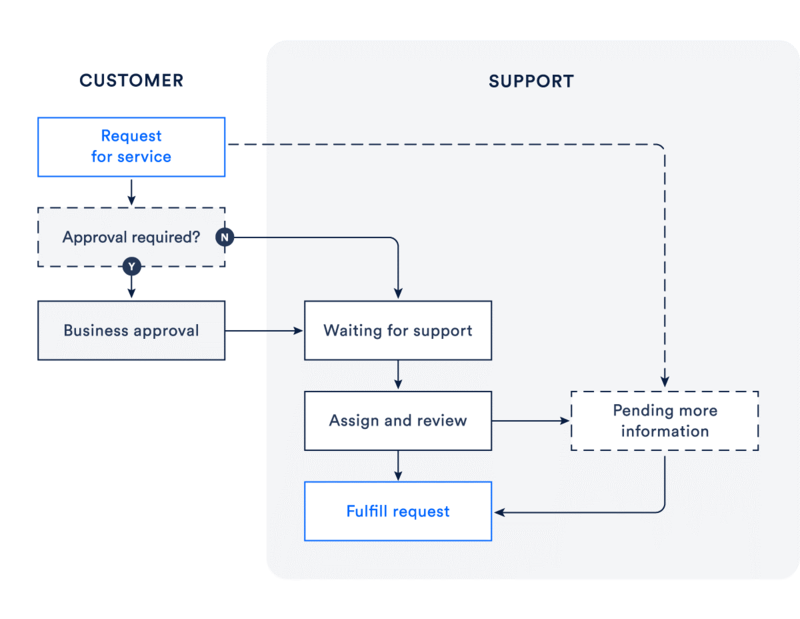 The schema below shows a simple service request fulfilment process, based on the recommendations from ITIL, that can be used as a starting point to adapt existing processes or establish new ones. A client requests support through their catalogue of services or via email. The service desk team analyses the request according to the qualification and approval process. A team member of the service desk works to fulfil the request, or forwards the request to someone who is able to complete it. When the request is fulfilled, the service desk completes the ticket. The team member consults the client to ensure that the request was fulfilled as expected. Start with the items most frequently requested and choose those that can be fulfilled in the fastest and easiest way. This will allow you to deliver immediate value to your clients and will allow the service desk team to learn as they build further elements of the service requests catalogue. Record every dimension of service requests (date of request, approval process, fulfilment procedures, fulfilment team, “owners” of the process, SLAs, reporting, etc.) before you add them to the catalogue. This will allow the IT team to manage the requirements of the request better over time. This step is really important to the more complex requests that will evolve in the future. Collect all necessary data to start the request processes, but do not overload your client with too many questions. Standardise the approval process as much as you can. For example, every request for a new monitor is considered pre-approved and every request for software requires approval from the client’s superior. Review the process and procedures of request fulfilment to identify which support teams are responsible for answering and if there are any specific requirements. Accept that knowledge must be provided in the knowledge base when a request offer is eleased. The main goals of self-service are to give clients what they want faster and to redirect requests as much as possible. This way you will be able to answer questions through a simple FAQ; include this knowledge as part of the plan when you create a service request offer. Review the Service Level Agreements (SLAs) to ensure that you have the right metrics and notifications properly defined, allowing requests to be fulfilled in a viable period of time. Accept that reporting is necessary, so you can properly manage the whole lifecycle of a service request and the catalogue, in the long run. This content is based in an article published in the Atlassian Blog – Best Practices for Service Request Management. 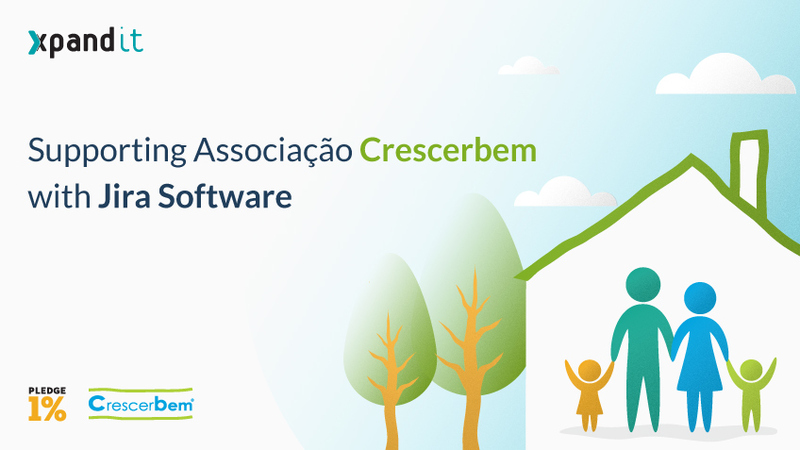 Xpand IT is the exclusive partner of Atlassian in Portugal, and was awarded the status of Atlassian Platinum Solution Partner..